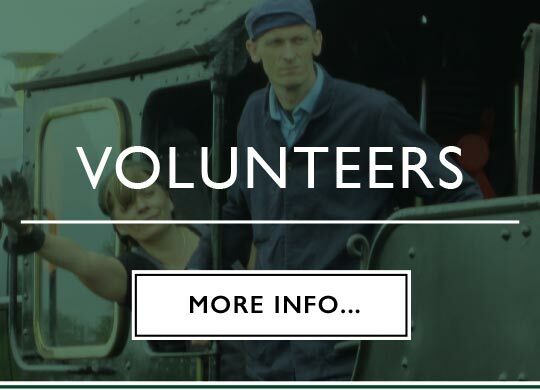 Our Station Staff volunteers fill the role of either Booking Office Clerk, or Station Assistant. A volunteer new to the Railway will normally start their service in the Station Staff Department as a Station Assistant. Following a period of service after qualifying the Station Assistant may, if they wish and are considered suitable, train as a Booking Office Clerk. Station Assistants work mornings at Cheltenham Race Course station and full days at Broadway, Winchcombe and Toddington stations, with the latter being the priority location. 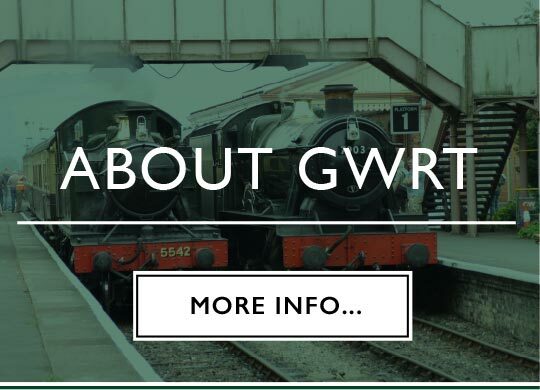 Their role is to meet visitors as they arrive and answer their questions about the Railway, telling them where everything is, directing them accordingly and answering questions about the timetable. It is not expected that a Station Assistant should know everything about the Railway initially! This is a public contact role that would suit volunteers who enjoy meeting people. Smiling and being friendly towards our visitors is a mandatory requirement. • Helping the Train Guard and / or Travelling Ticket Inspectors with loading/unloading of wheelchairs on request, using the access ramps provided. • Helping to keep the station and environs clean and tidy. • Keeping the train time departure boards up to date. 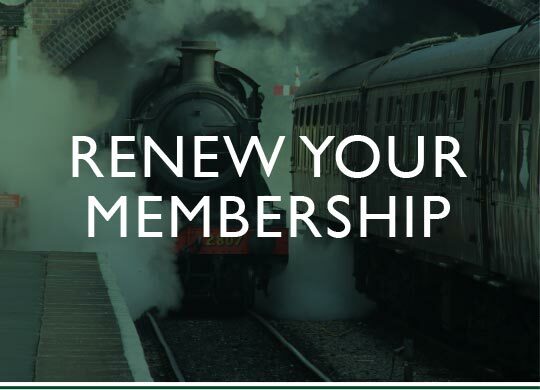 • Working with the Railway’s Meet and Greet volunteers and/or Group Leaders in directing their groups to their reserved carriages. No medical is required, although you will need to be reasonably fit, as the role is platform based and will involve the use of the footbridge to cross the line if the Barrow Crossing is not accessible. The Company does not provide a uniform, but a dress code operates for those in direct contact with members of the public. It is expected that Station Assistants will wear black trousers/skirt, white shirt/blouse, Railway’s Volunteer blue tie (compulsory with shirt) [ladies may wear a Volunteer’s scarf with a blouse], and black shoes not trainers. A Station Assistant may find it useful to wear a black pullover with the embroidered GWR logo so that they can be more easily identified as a member of the Railway staff. A name badge will be provided. Station Assistants are expected to arrive for duty 30 minutes before the first passenger train departs from Toddington for their duty station and remain on duty until after the last train has left their station. 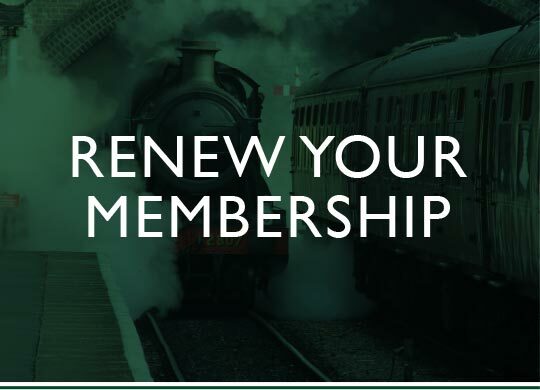 No experience is necessary, and the job may well be ideal for someone who perhaps is unsure what role to take on at the Railway, or who does not want to take on a Role with specific responsibilities. The Booking Office Clerk could be the first member of the Station Staff to meet and greet our visitors giving them a friendly welcome. Obviously, this position is very important in that the first impressions of the railway come from initial contact with its staff. If you are numerate, of a calm nature, enjoy meeting and dealing with the public, then this could be a position for you. It is varied and interesting and opportunities are given to work at any or all of our stations. • Manning one of our Booking Offices at Broadway, Toddington, Winchcombe or Cheltenham Race Course (CRC). Toddington is our busiest station with 42.6% of tickets sold there, 34.7% at CRC, 15.9% at Broadway and 6.8% at Winchcombe. 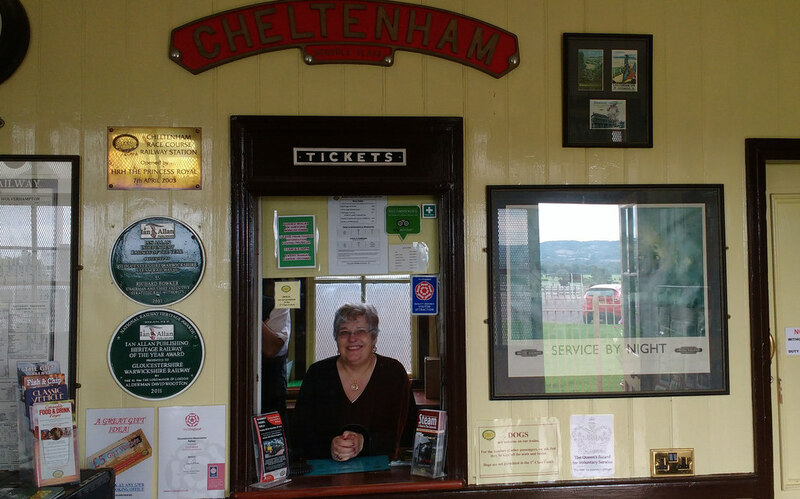 • Greeting our visitors when they present themselves at the Booking Office window. • Ascertaining visitors’ travel intentions, the number and ages in their party and selling them the appropriate ticket(s) for their journey. • Selling tickets, handling cash and credit / debit card readers. • Making our visitors aware of any specific travel opportunities or restrictions that accompany their tickets. • Following any security requirements in respect of cash. • Cashing up and recording tickets sold at the end of the day. • Assisting the Stationmaster as required in other aspects of running the station. No specific fitness levels are required. For most of the time you can be seated. Booking Office Clerk volunteers work as part of small teams, so we expect them to act responsibly and use their initiative where necessary. Training is given and new volunteers are teamed with experienced staff until they are fully conversant with the procedures. There is a requirement to train at all four stations as doing so gives you more variety and our Roster Clerk more flexibility. This is a rostered position based on the individual’s availability. It is important, therefore, to fulfil all duties as rostered. At Toddington, Winchcombe and CRC you are expected to be on duty an hour before the departure of the first train of the day from Toddington. At Broadway the start time is half an hour later. At all stations you will need to stay until the Stationmaster has finished his duties at the end of the day, or unless otherwise instructed. On special event days additional staff will be rostered to spread the workload. On these days you may be required to work in a temporary location provided for the purpose. As Booking Office Clerks are very visible there is a dress code of black jacket/sweater, black trousers/skirt, white shirt/blouse and a blue GWR tie, if wearing a shirt. You will need to have a cheerful disposition and a sense of humour. Basic numeracy will be required, but most important is a friendly manner, enthusiasm and a willingness to help. Qualified Booking Office Clerks are only rostered at stations where training has already been given. Station Staff volunteers are friendly, caring people, who will welcome you in their team. After serving as a Booking Office Clerk there is an opportunity to progress to the role of Stationmaster. This depends on having been trained as a Booking Office Clerk for at least 2 years, the number of duties already performed and the suitability of the volunteer. There are currently no vacancies in either role, although your name can be added to a waiting list from which vacancies will be filled as they become available, with preference going to those who join the Special Events team in the meantime. At your volunteer Induction you will be told how you can join another Department or transfer between our Departments (subject to vacancies and suitability). Please see here to learn how to become a volunteer.